Remember when you were a kid and you played with fake phones? Or maybe you played with an imaginary phone, holding two fingers to the side of your head. I have news for you, you didn’t look as ridiculous as this guy. 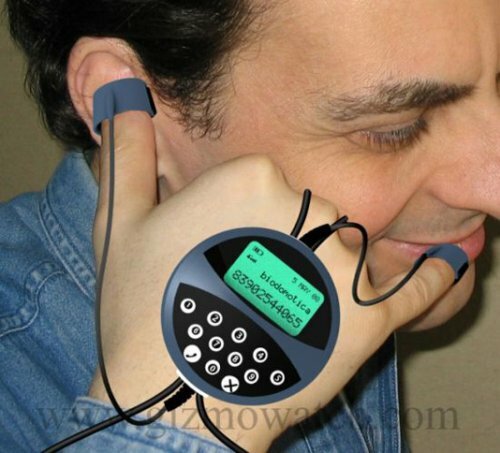 The Handphone concept makes you look like a borg taking a business call. It sits on your hand, with a few wires and fingers leads, and turns your fingers into a portable cellphone device. 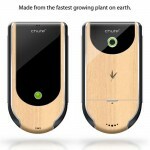 You navigate and control the phone using natural gestures and voice commands. For Borg technology, the LCD on this thing is pretty lacking. No wonder Picard kicked their butts. Cell phone in your pocket or are you packing wood? 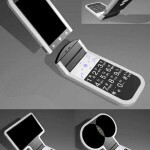 this is a FREAKING UGLY PHONE! its fake. made with photoshop. the phone and the wires have no shadow…. can see its totally,so fake..try to make it really real babe. !